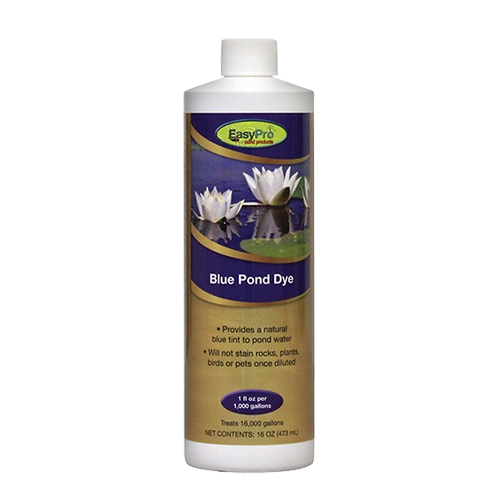 This colorant is designed for use in water gardens and koi ponds. It will not stain birds, fish, plants, pets, wildlife or people once diluted and when applied at the recommended rate. Handle with care prior to dilution to prevent staining. Concentrated formula - use one ounce per 1000 gallons of water!